As a professional, a business card is essential to promote yourself. Although it is convenient to text or email your clients, a business card lends a personal touch, since it shared only in person. Especially if you are someone from the medical field, a visually appealing business card will work wonders in spreading the good word of your practice. PrintStop presents a simple way of designing doctor business cards online. Sure to impress your patients, clients and staff, these cards can be printed on metallic, recycled or textured paper for enhanced appeal. With our professional stationery printing quality services, you receive a stand out result. So go ahead. Design a fetching business card for yourself online in few simple steps. You can browse through our business card design templates or upload a design of your own. 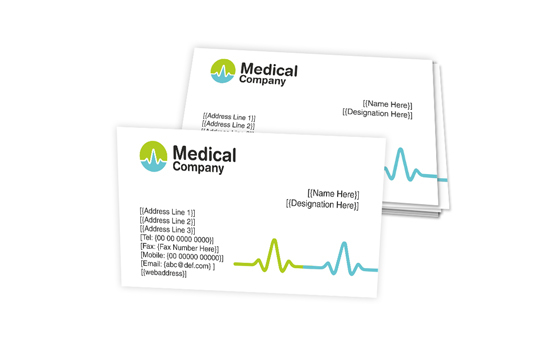 You can also use our online medical business card maker to design your own card and upload it for printing. We also provide you with an option wherein you can submit to us your design brief and we will make a professionally designed custom visiting card based on your creative ideas. The added convenience of ordering up to 100 cards makes PrintStop all the more appealing. Whatever profession you might be in, you do need a business card to promote your business, or let us say, to promote yourself. 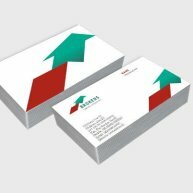 Visiting cards contain your contact details along with your company name, logo (if any) and the services you provide, so all your clients remember you and your services. It might seem convenient to just text or email your clients, and that is where you are wrong. A business card lends a personal touch, especially if you are a doctor. Why so much specification on a doctor? Because your patients can call you any time in case of an emergency, and you, being the doctor that you are, happily serve them and heal them. PrintStop provides exceptional customised business cards and helps you stand out. Being in the medical field, a customised visiting card works wonders in spreading the word about your practice. Our online designed visiting cards indirectly promote your clinic or your services and help you market yourself. We at PrintStop, present a simple but stylish way to custom design and print your business cards online. 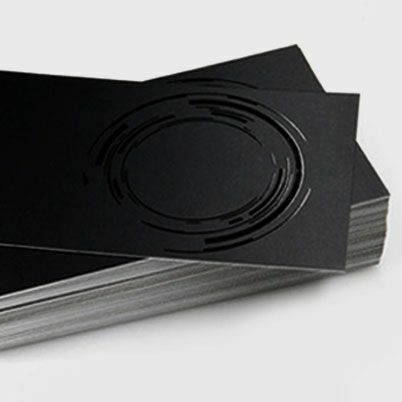 Our doctor business cards are printed in metallic paper, recycled paper or textured paper to enhance your brand image. We also print many other doctor products at affordable prices for you. With our professional stationery printing quality services , you receive a stand out result. With PrintStop, you have innumerable options to print your customised doctor business cards. 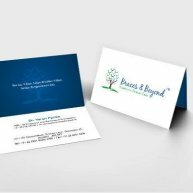 You can browse our readymade online doctor business card templates and select any one that you like. You can also upload your own medical visiting card design or make your own visiting card online. But we would suggest that you relax, heal people and leave these things to us. Just let us know about your design brief and we will design the best customised doctor visiting cards online with appealing layouts and attractive fonts. The added convenience of ordering up to 100 cards makes PrintStop all the more appealing.